These unique bibs are made using medical grade neoprene called Bioprene. The material contains an active antimicrobial agent which kills most bacteria including, Salmonella, MRSA, and other bacteria plus fungi, yeast and algae to ensure a sterile product at all times. The unique, fold out pocket, means the bib can be used with or without the pocket and the snap fastener has three positions to ensure the best fit for the user. The rubber inner layer repels all liquids whist the top nylon layer is wipe clean and stain-proof, so the bibs clean easily. 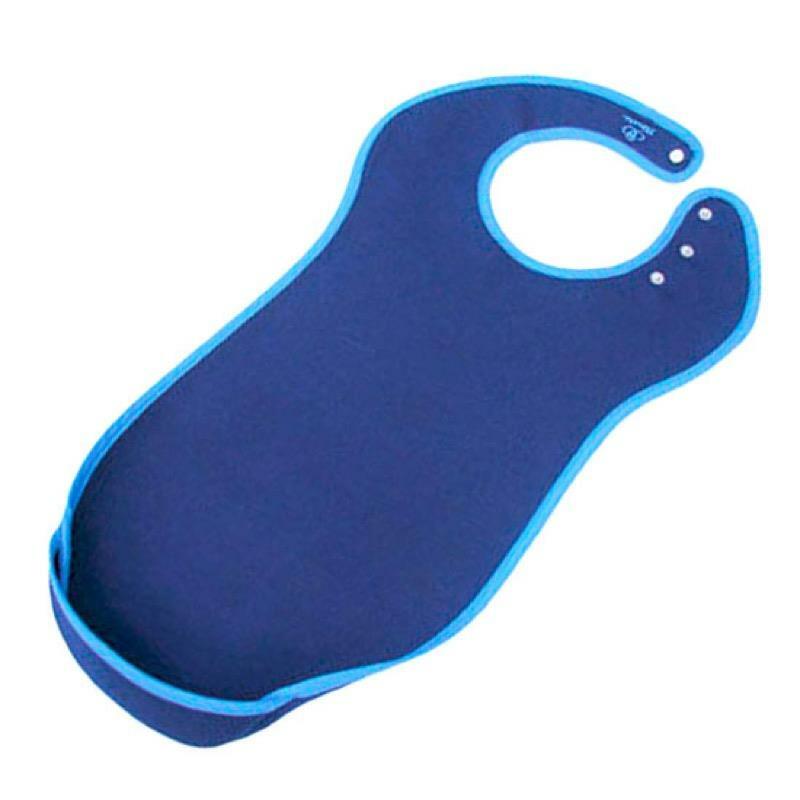 This adult bib is machine washable (40°C max) and suitable for use in a tumble drier.